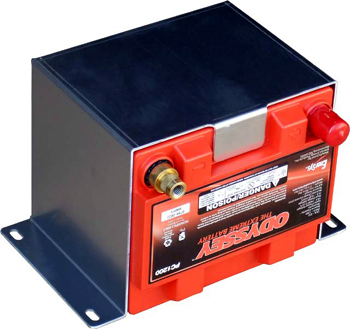 Use this mounting bracket to install the PC 1200 battery on its side. This bracket is made for a vertical installation and will hold the PC1200 securely with support on three sides and both the top and bottom of the battery. The width is 10 3/8" wide at the mounting ears. Does not include battery.